Panasonic is developing a new DSLM (Digital Single Lens Mirrorless) camera that will capture 4k video and extract 18 megapixel (6k) still images. The Lumix GH5 is scheduled for release worldwide in early 2017, and according to the company is the first DSLM to record 4k video at 4:2:2 10-bit in 60p/50p fps. Other supported frame rates include 4K/30p, 25p, 24p, and 23.98p. The 6k Photo feature is enabled by the camera’s high-speed, long-time burst shooting capability that increases the resolution from 8-megapixel (4K Photo) to approximately 18-megapixel (6K Photo) images from 4:3 or 3:2 video footage. For higher frame rates, 8-megapixel 4K photo images can be recorded at at 60 fps. 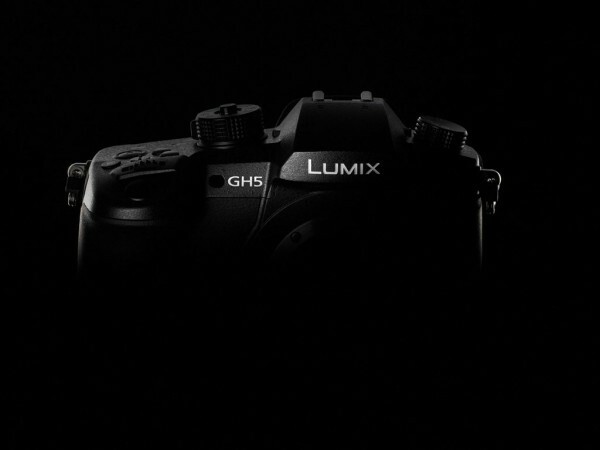 As you can see by the press photo above Panasonic isn’t giving everything away yet about the GH5. However, camera is being shown this week at Photokina 2016 in Germany. The Lumix GH5 will be paired with Leica DG VARIO-ELMARIT F2.8-4.0 lenses including a new 12-60mm standard zoom lens, 8-18mm wide zoom lens and 50-200mm telephoto zoom lens. The Lumix GH5 follows the Lumix DMC-G1 DSLM introduced in 2008 and the DMC-GH1 with Full HD video recording in 2009.